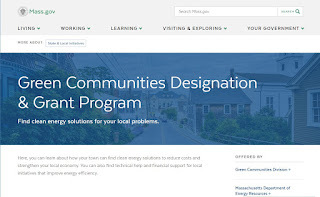 The Baker-Polito Administration today (12/28/17) announced that an additional 25 Massachusetts cities and towns have been designated by the Department of Energy Resources (DOER) as Green Communities, committing to an ambitious renewable energy agenda to reduce energy consumption and emissions. With today’s designation, over half of the Commonwealth’s municipalities have earned their Green Communities designation and 68 percent of residents live in a Green Community. 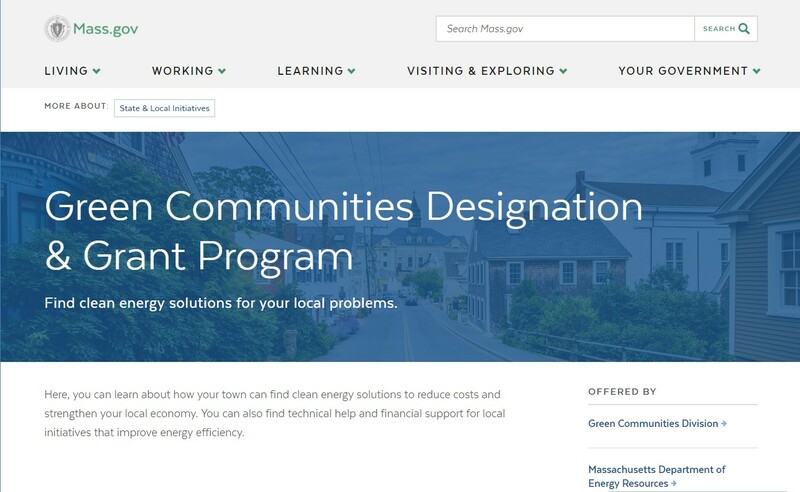 The 25 new Green Communities are now eligible for grants totaling $4,316,955 to complete renewable energy and energy efficiency projects in their communities. Since the program began in 2010, DOER’s Green Communities division has awarded over $65 million in grant funding to the Commonwealth’s cities and towns through designation and competitive grant rounds.